Message centers and community bulletin boards help keep the public involved, informed and safe. These durable and adaptable message centers feature single, double and triple sided secured display window boxes—accommodating in-ground, surface and wall mount applications. 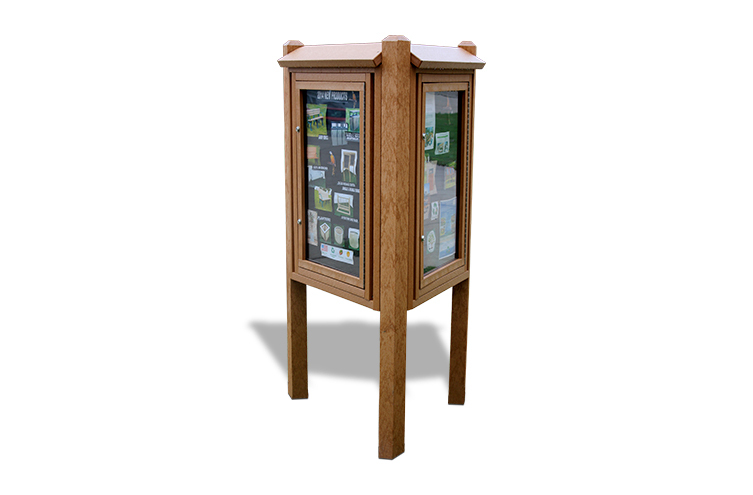 Belson Outdoors® offers a comprehensive selection of notice boards, message centers and information kiosks built for weather resiliency and longevity—ready to outfit both indoor and outdoor areas.